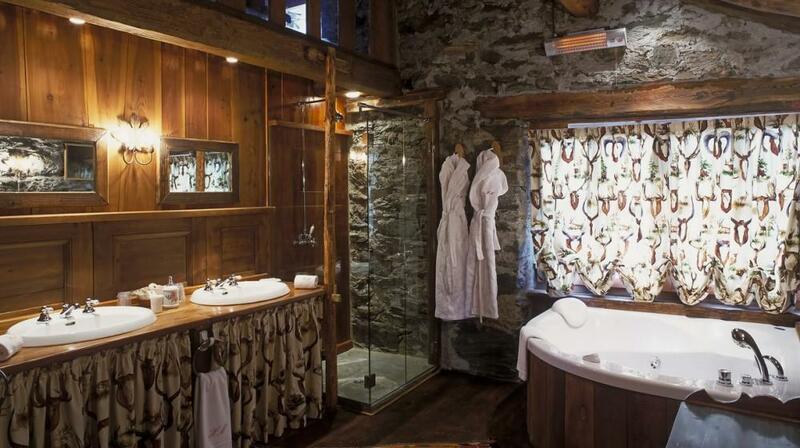 Like a portal from the modern civilization to a world that we imagine exists only in fairy tales, “L’Hotellerie de Mascognaz” in the village of Mascognaz allows us to leap into the ancient rhythms, peacefulness and silence of the past, products of the surrounding nature’s beauty. 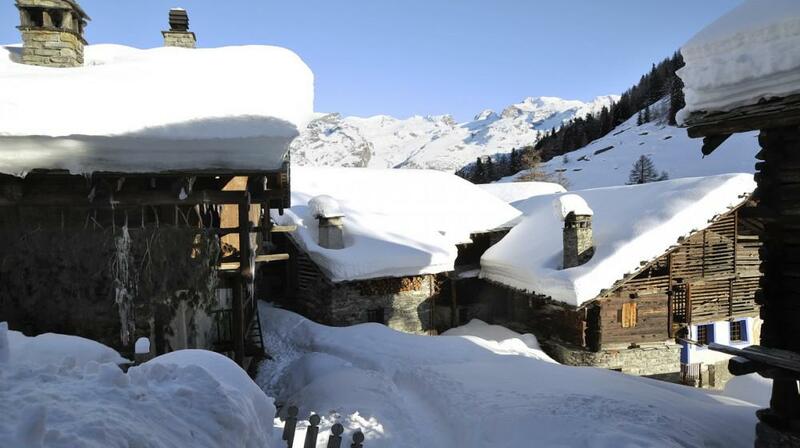 The Village is accesible only by walking along an ancient mule track or by vehicles provided by the Hotel. 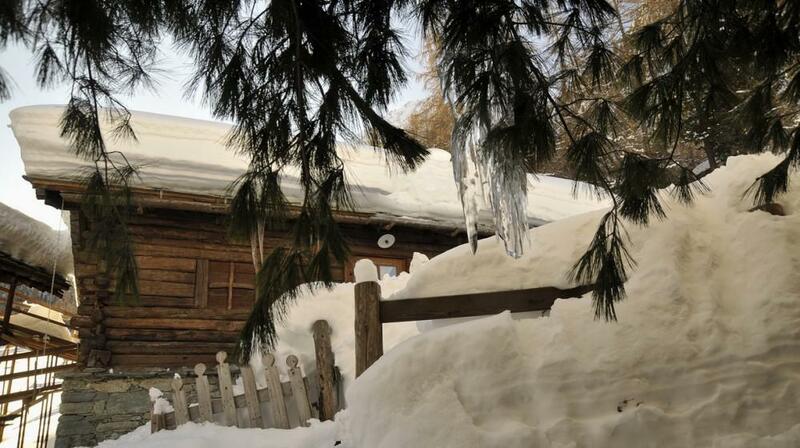 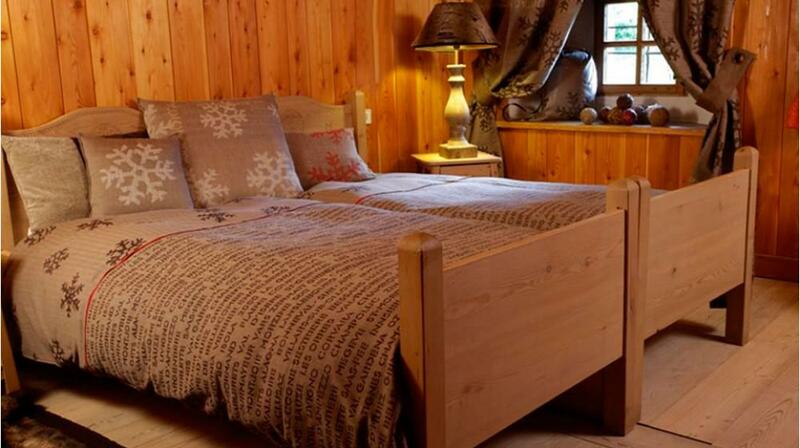 The Chalet Lo Miète is ideal for a family vacation or for a group of close friends. 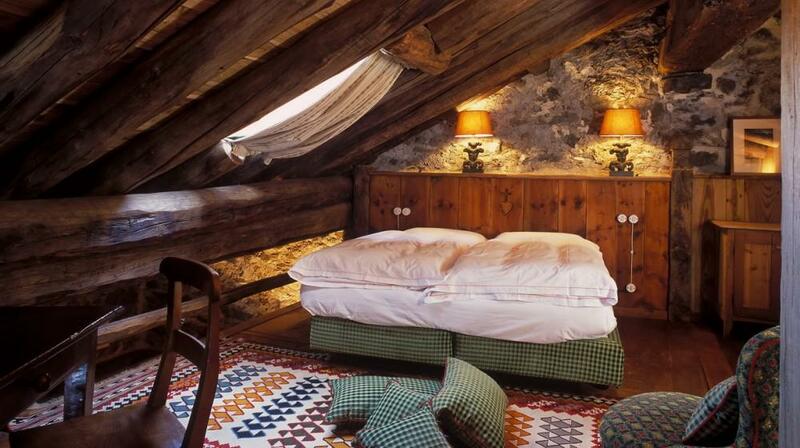 Seven elegant and romantic rooms are refined to the last detail. 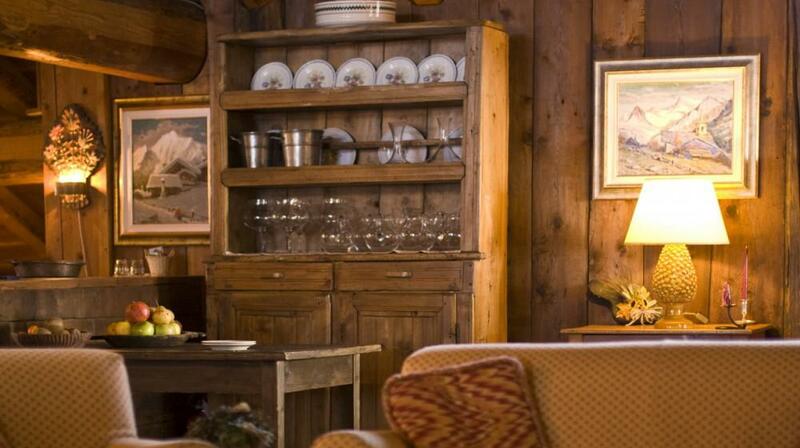 A Chef is at your disposal to fulfil any guests’ tasty desire. 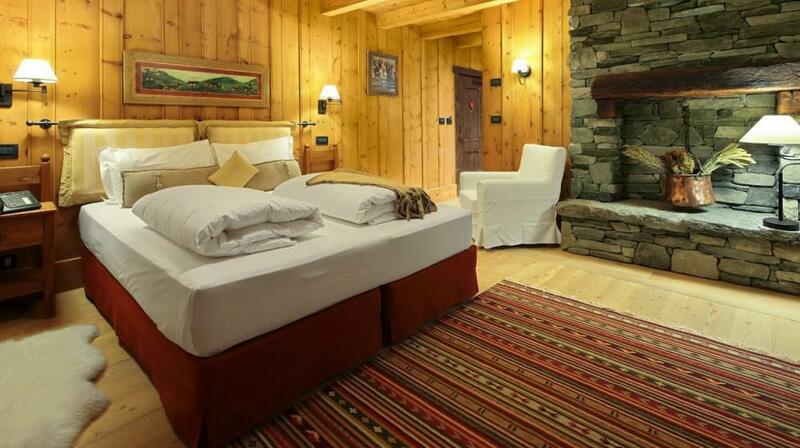 A SPA inside the Chalet helps make your stay even more relaxing, equipped with a sauna, Turkish bath, whirlpool bath, gym and massage service. 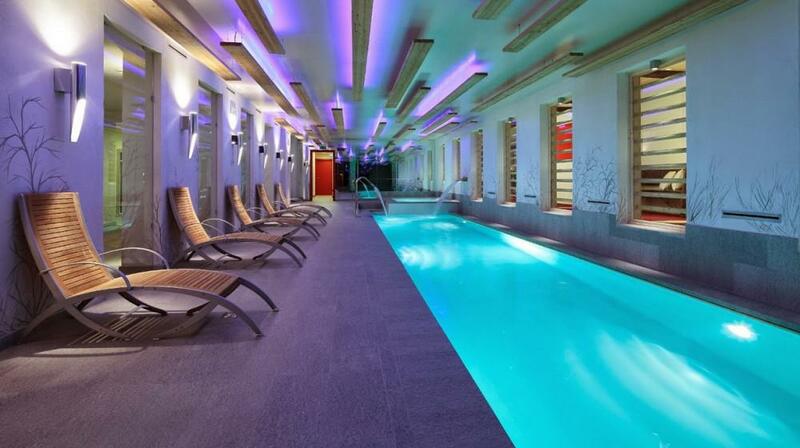 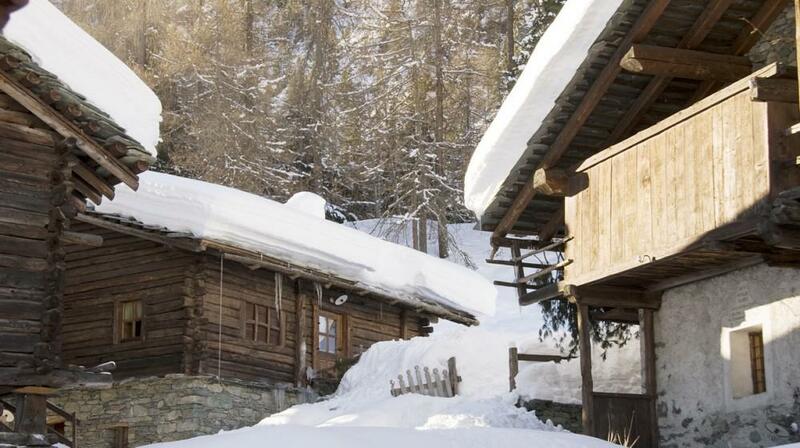 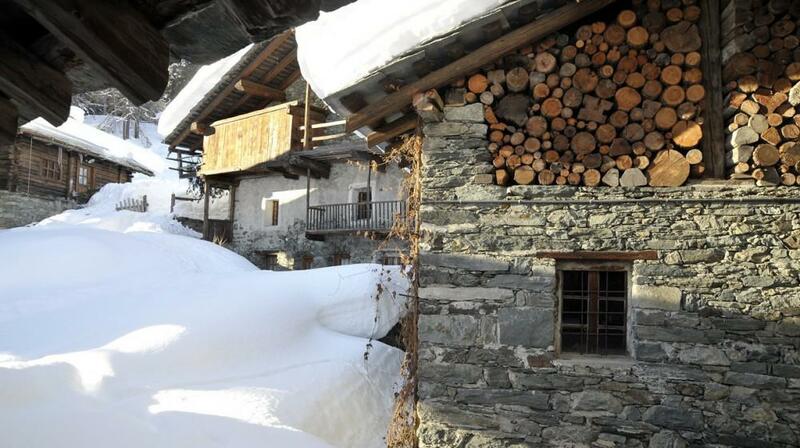 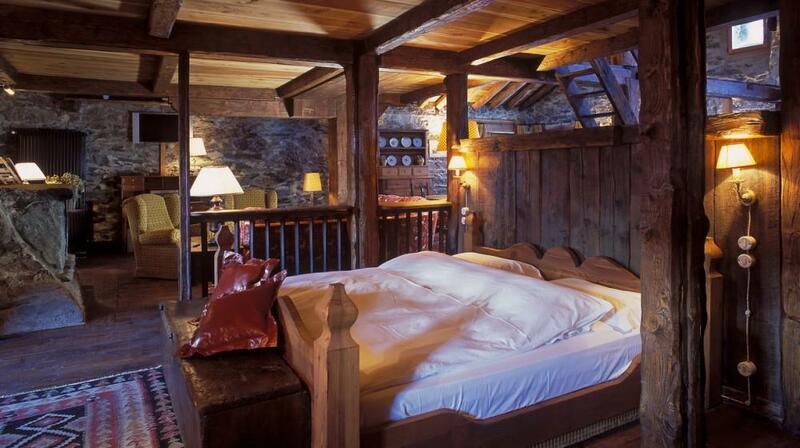 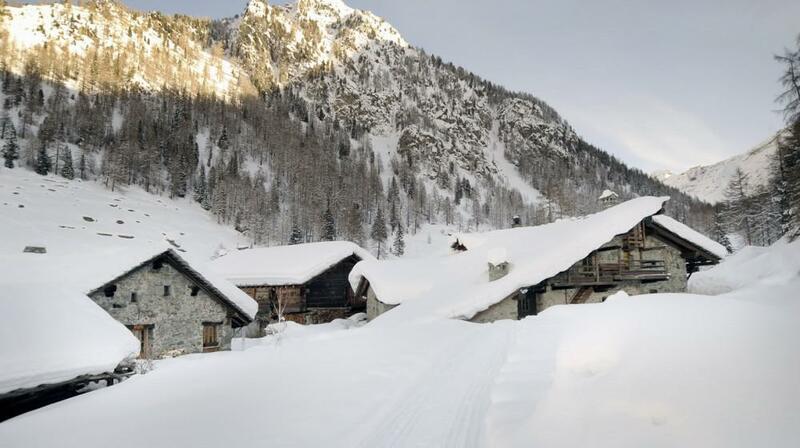 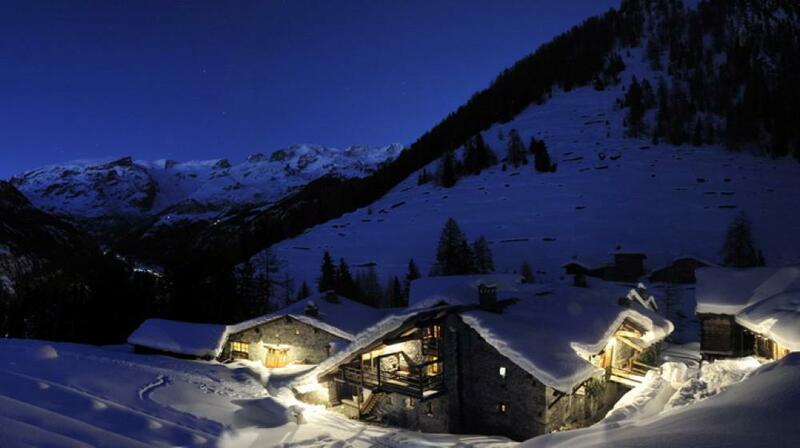 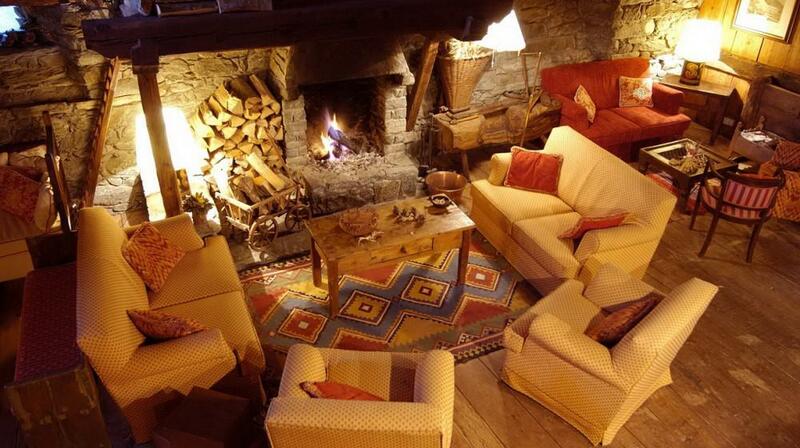 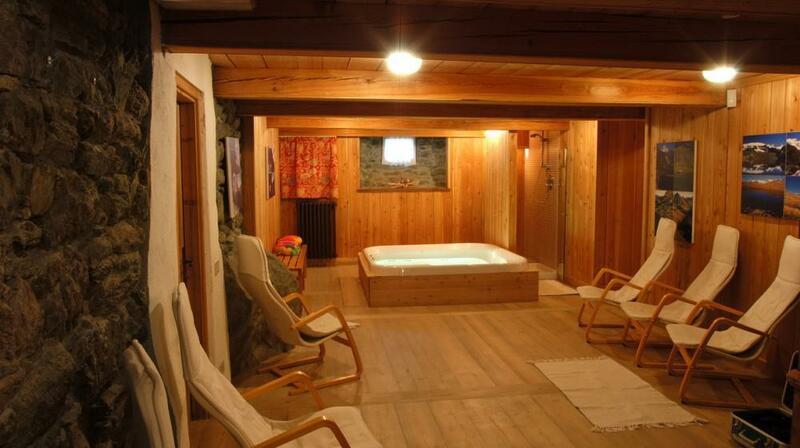 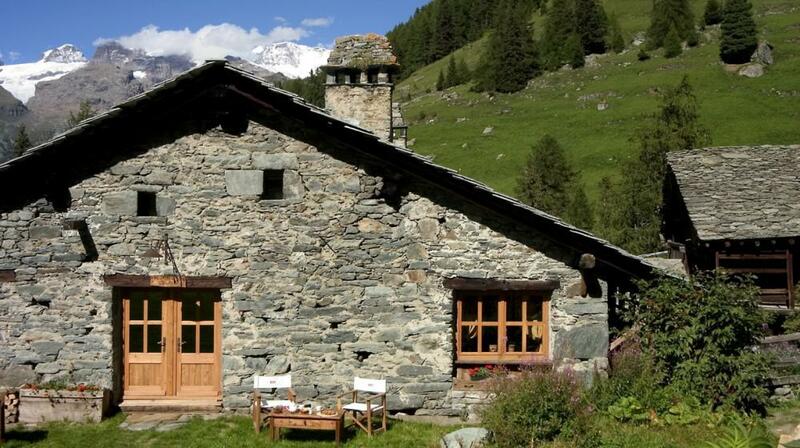 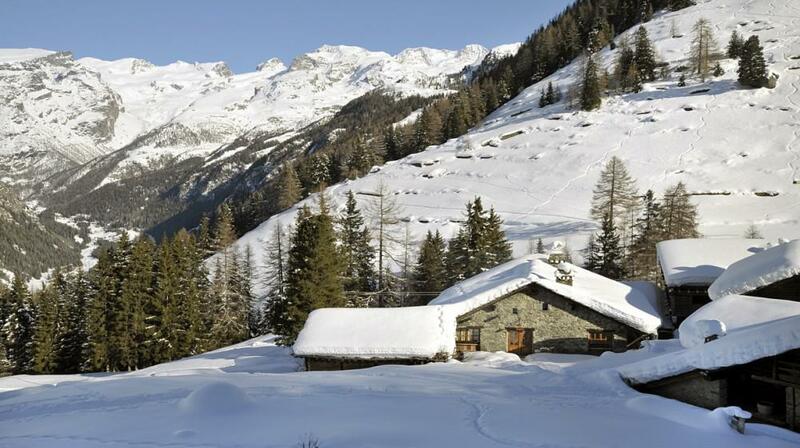 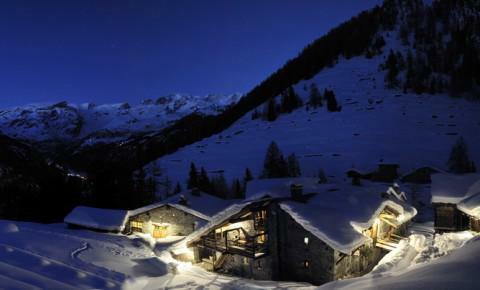 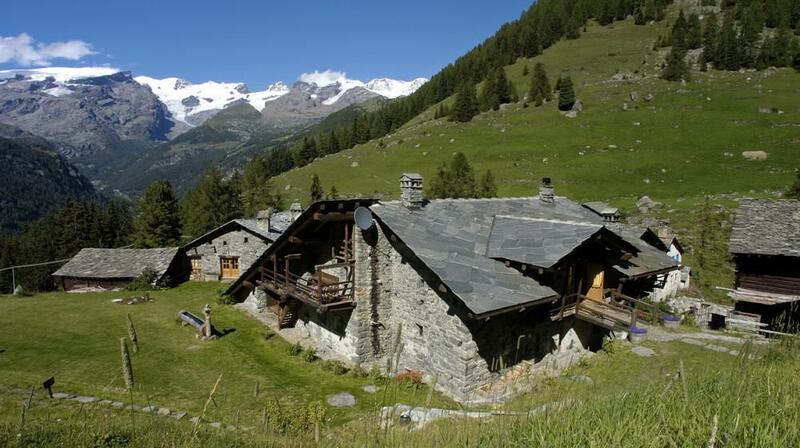 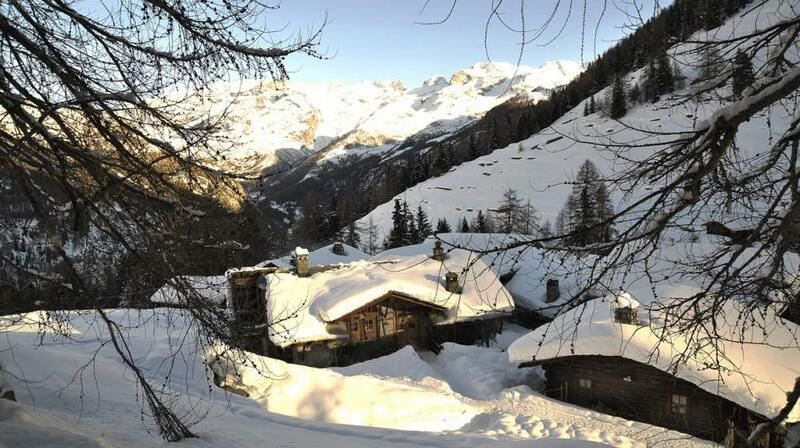 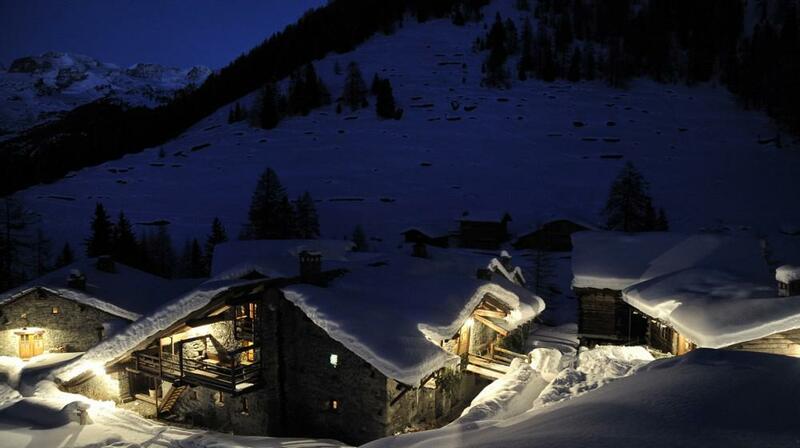 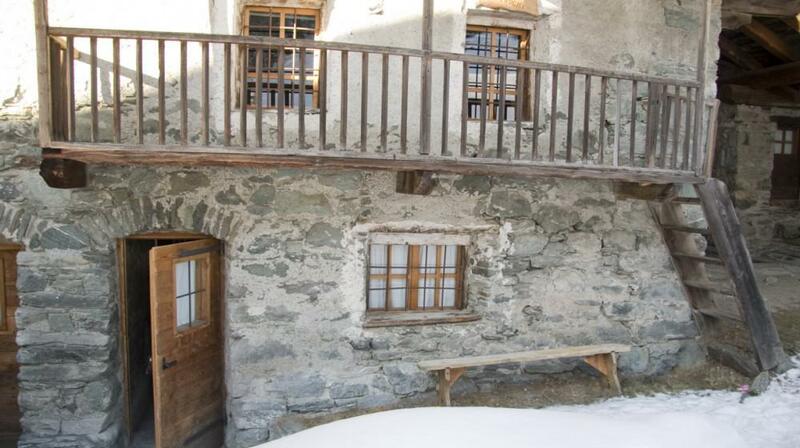 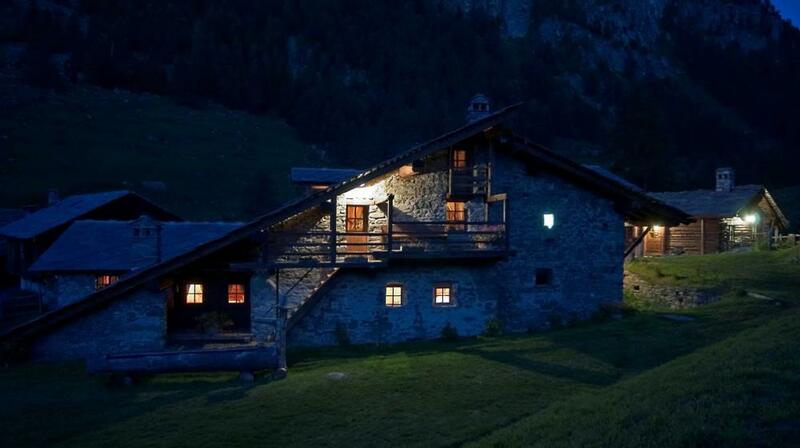 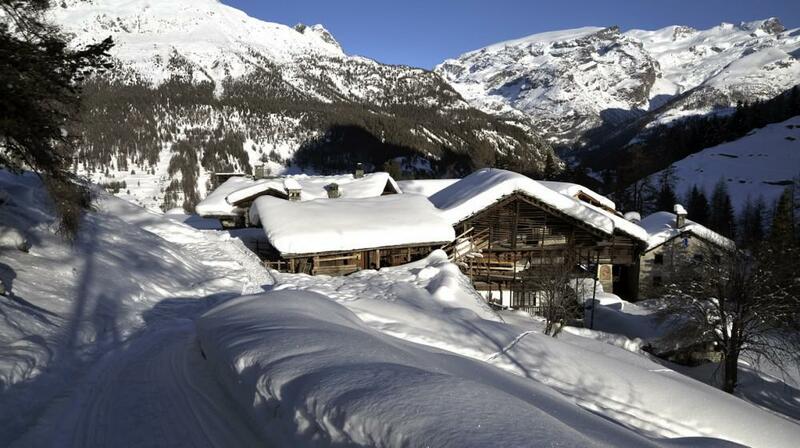 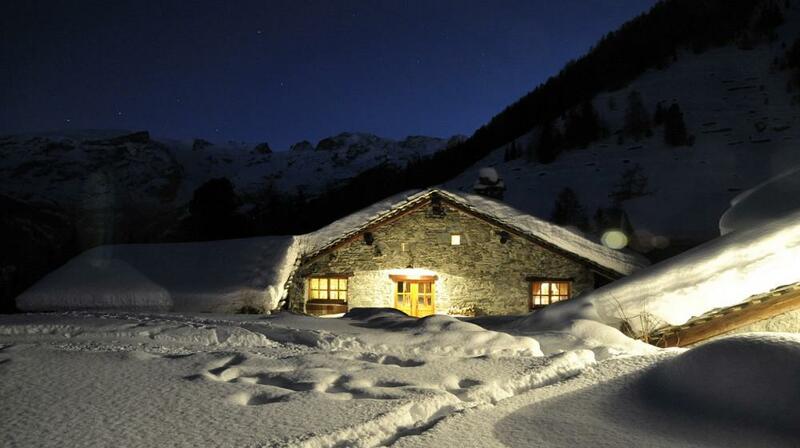 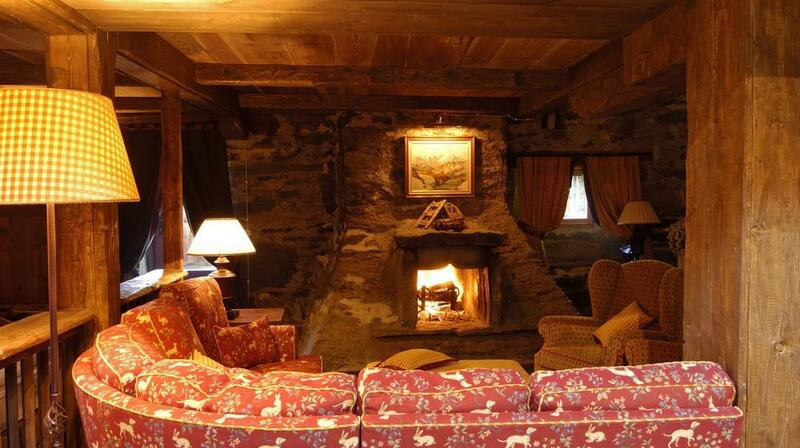 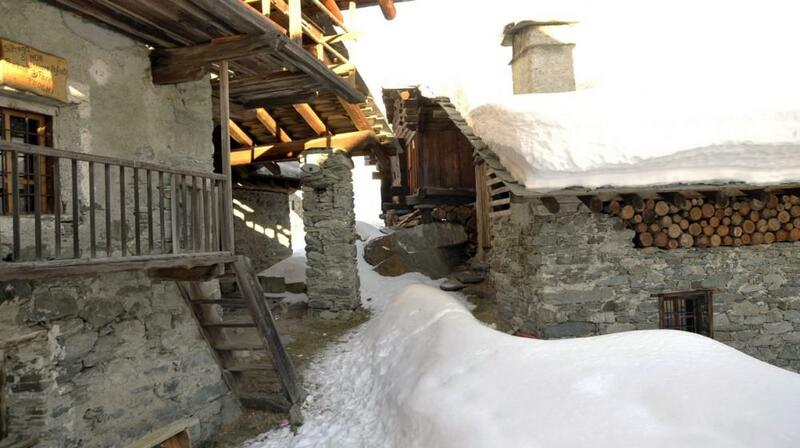 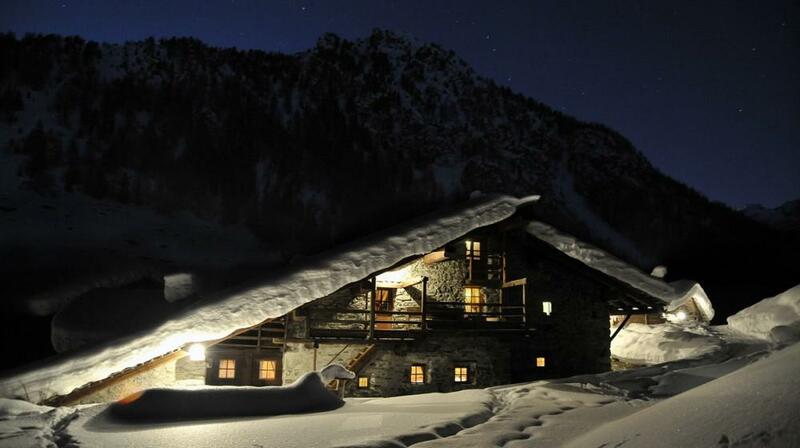 Monte Rosa Suite is a separate chalet that can host up to four persons. 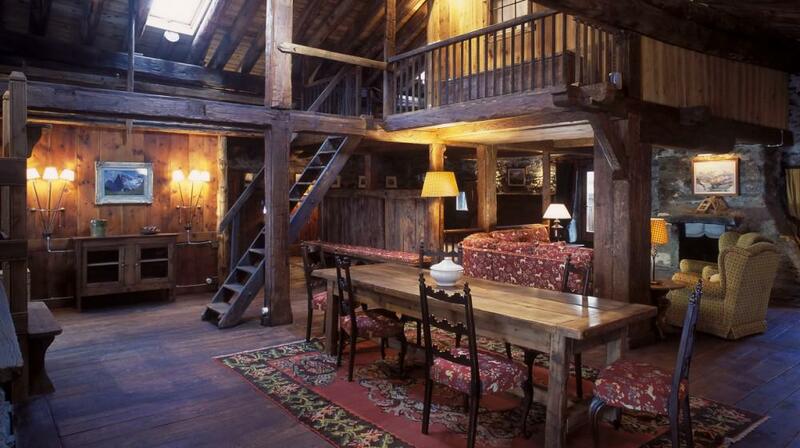 Built from the reconstruction of an old barn; here stone and wood meet in an amazing architectural dance. 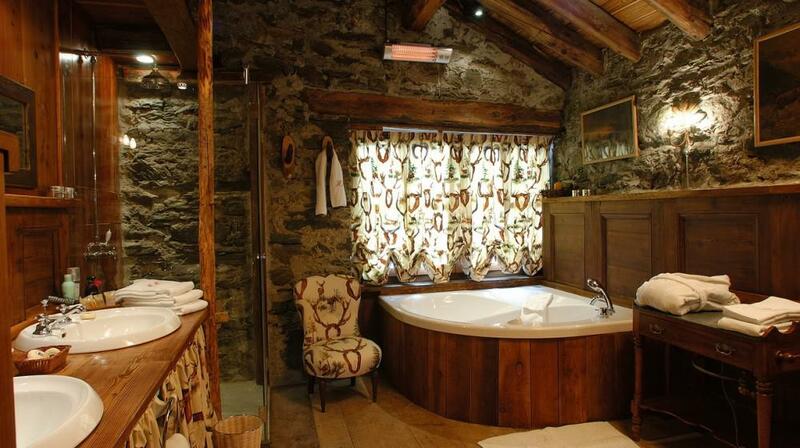 Furnished tastefully and elegantly with the aim of letting the guests live again the taste of ancient times. 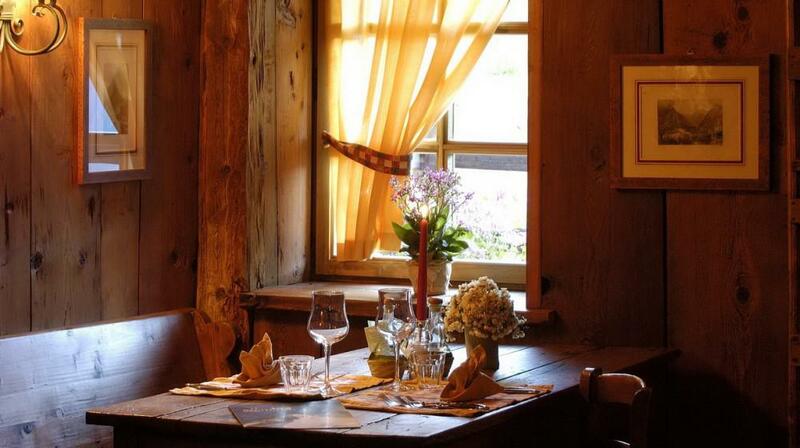 Two available restaurants: Restaurant Lo Pejio, made from an old typical rascard of the 1600, serves local traditional dishes. 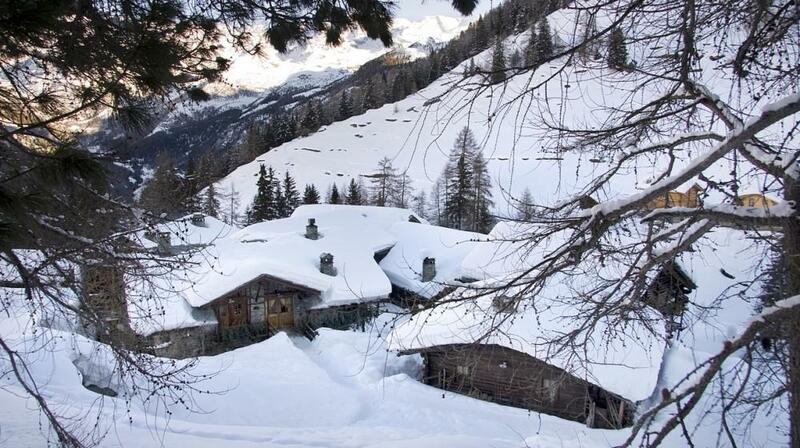 Restaurant Hotelliere de Mascognaz offers a vibrant and convivial atmosphere for outdoor lunches and BBQs. 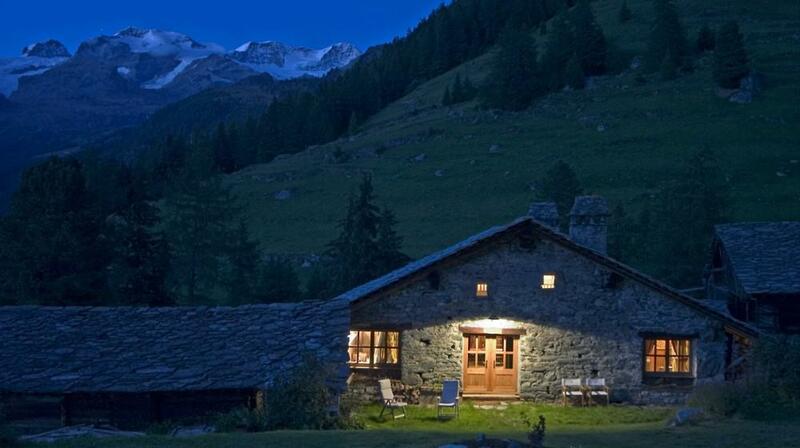 Various activities are available. 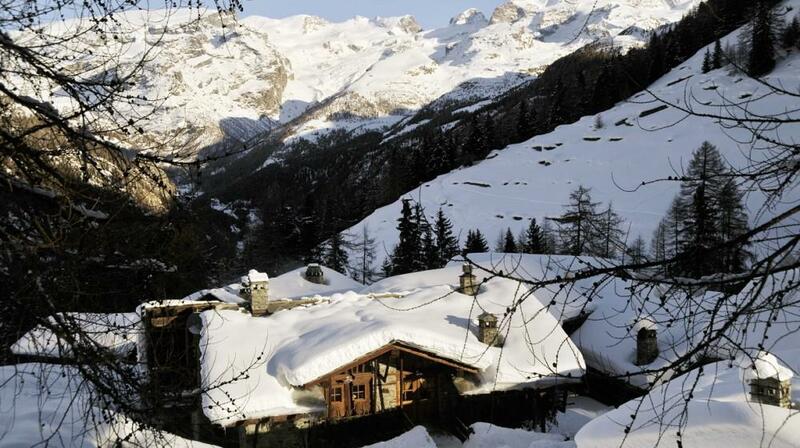 In wintertime skiing is possible on Monterosaski’s slopes or on Gressoney and Alegna’s valleys, Hiking, trekking and ice waterfalls climbing. 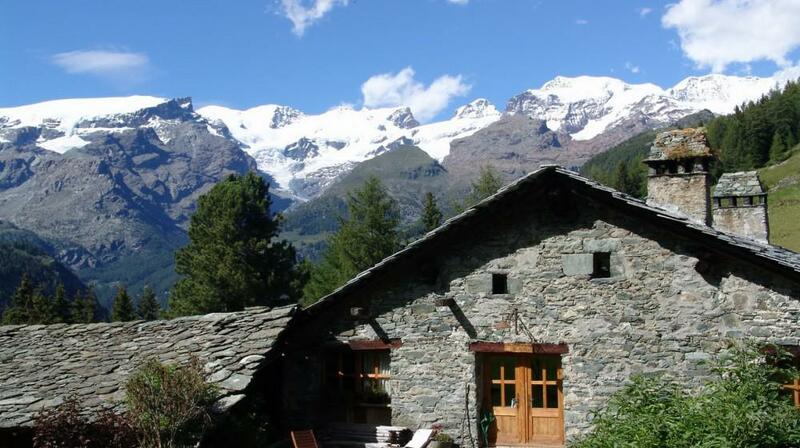 In summertime trekking, hiking, joga, wine and food trails, historical trails and much more are enjoyable. 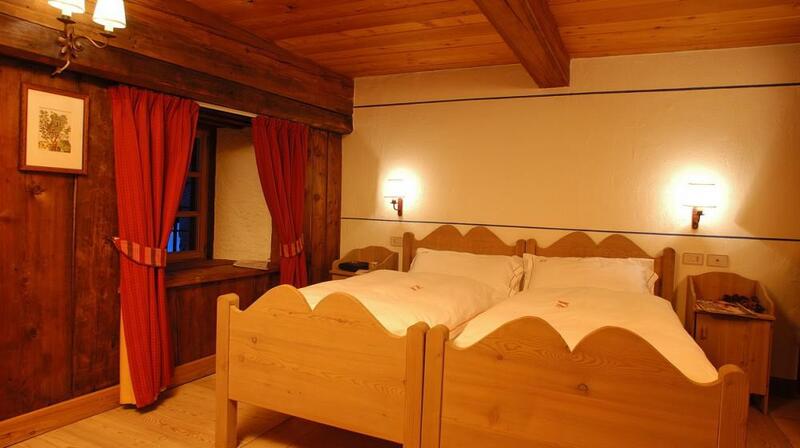 Extra beds Children: All children equal or under 11 years is charged € 75.00 per person per night when using extra beds. 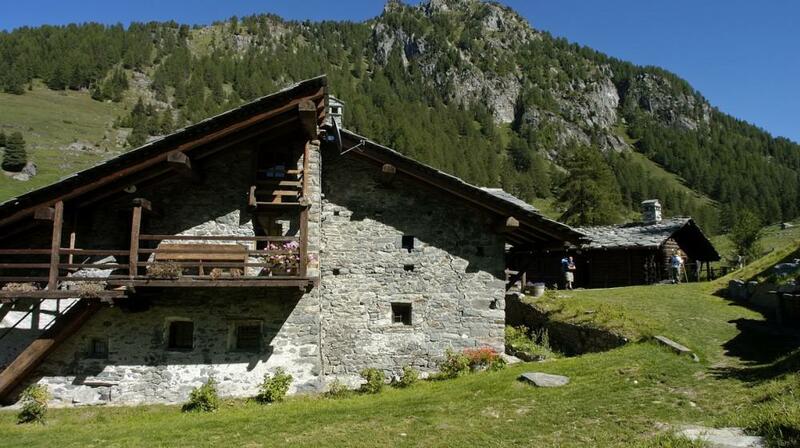 His Opinion: C'est un magnifique endroit d'une grande qualité et un accueil chaleureux. 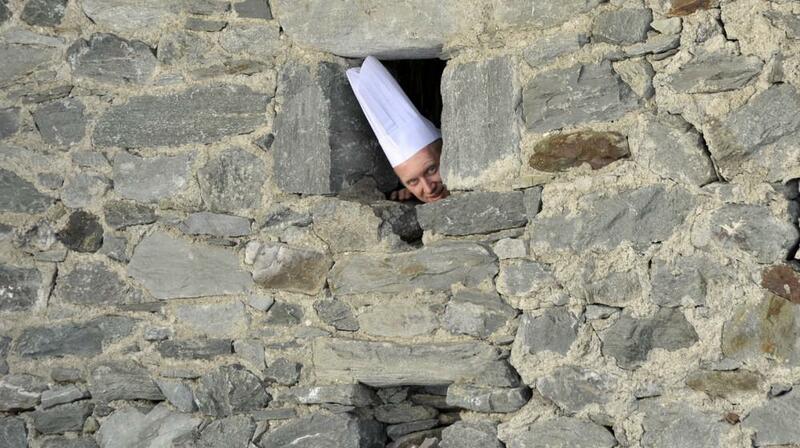 Nous avons passé un moment extraordinaire. 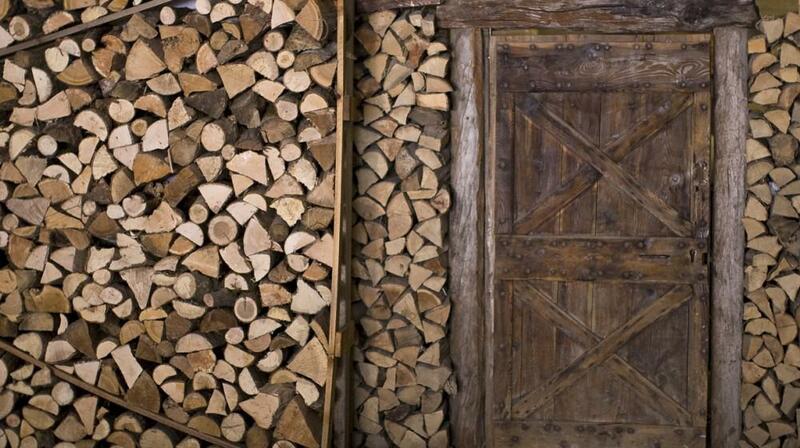 Nous reviendrons.